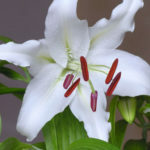 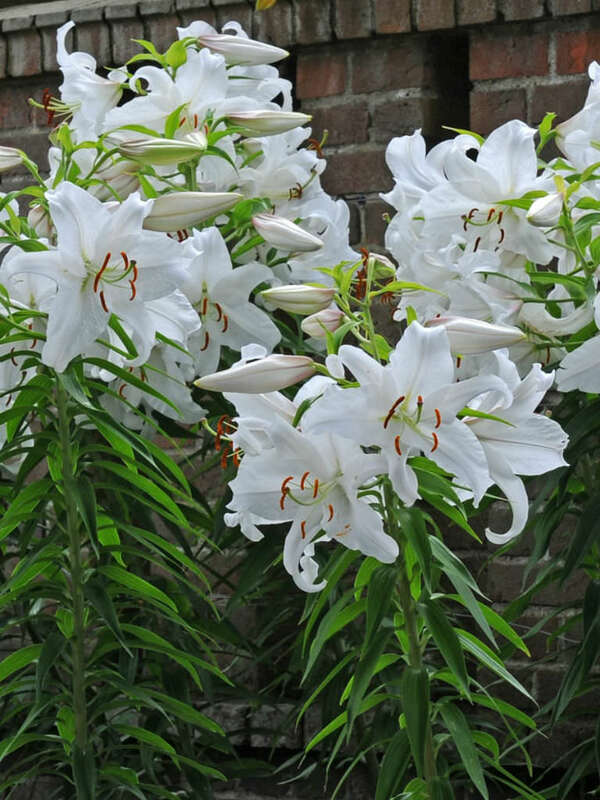 Lilium ‘Casa Blanca’ is a popular Oriental hybrid lily that features pure white flowers up to 10 inches (25 cm) wide, with contrasting reddish-brown anthers. 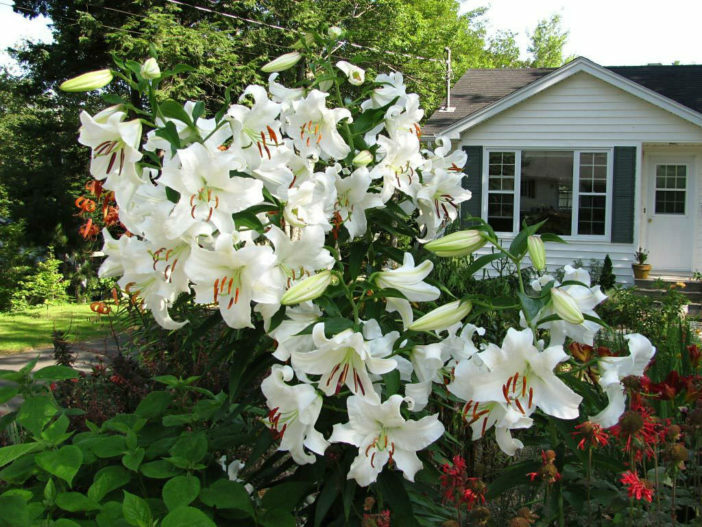 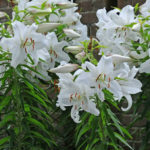 Blooms in mid-summer on rigid stems rising up to 4 feet (1.2 m) tall. 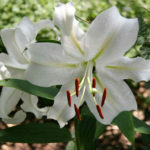 Flowers are very fragrant. 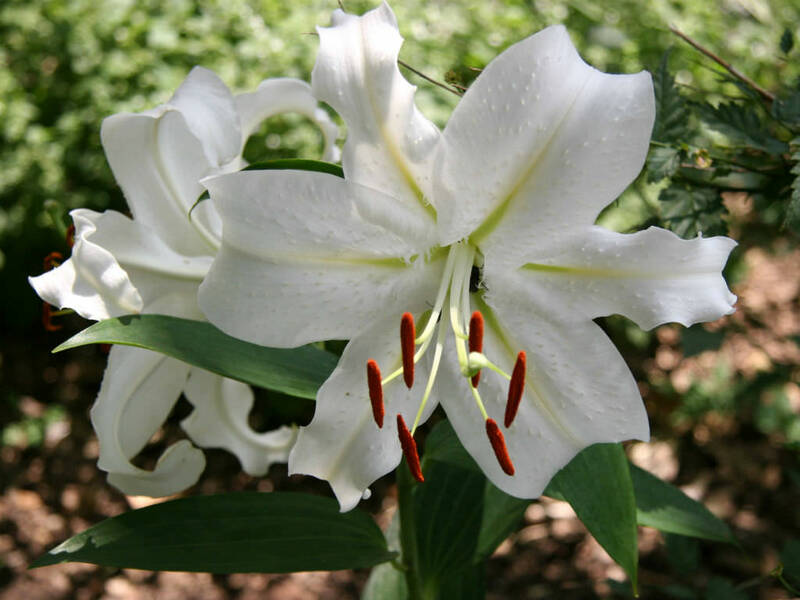 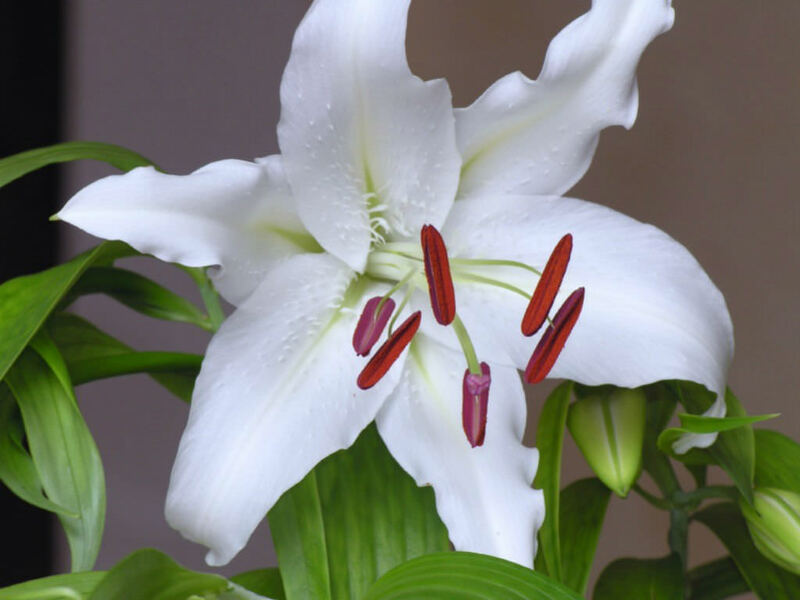 Oriental hybrid lilies are known for their intense fragrances, large flowers up to 8 inches (20 cm) wide, with recurved petals, and rich colors.